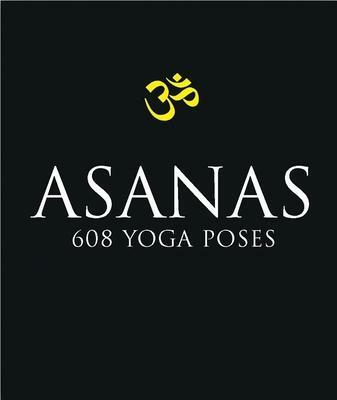 Asanas: 708 Yoga Postures is the most comprehensive illustrated guide to classic hatha yoga ever published. There is absolutely nothing like it currently available. In 1974, legendary “teacher of teachers” yogi Dharma Mittra created the Ultimate Yoga Chart as an offering to his guru, Swami Kailashananda (Yogi Gupta). Setting up a camera in his New York City studio, Dharma Mittra photographed himself in 908 yoga postures, sometimes snapping the picture by holding the trigger between his teeth. He then printed each of the photos as an 8 x 10, and then pasted them together and finally produced a poster of all the postures. The effect is like an Escher drawing: you can’t tell what is shown until you get very close, but the picture seems to move and evolve as you watch. Asanas is a stylish, design-driven book that — for the first time ever — collects these black and white photogrpahs and provides brief commentary.